Buying or selling a house can be an overwhelming and daunting process. Kiona Simon is ready, willing and able to help you buy, sell or invest in a property that best suits your needs. 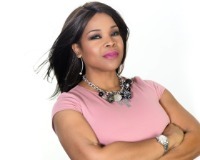 She is a licensed realtor in Washington, DC and Maryland, and serves surrounding counties including Montgomery, Prince George’s, Charles, Howard and Anne Arundel. 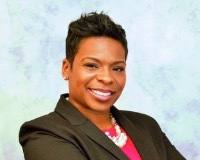 Kiona earned her Bachelor’s Degree from Hampton University where she studied Marketing and later earned her MBA from Trinity University. She continues to increase her knowledge base and advance her skills through intense training in marketing, sales, and customer support. Those who’ve worked with Kiona said that she’s friendly and approachable, so when she made the decision to pursue her interest in real estate it seemed like a natural fit. “Kiona’s drive to excel on and off the job certainly demonstrates that there are few limits to what she can accomplish if given the opportunity.” Tim G.
Exit Flagship Realty is part of the Exit Realty Mid-Atlantic Region. Kiona is fully committed and supports the mission of Exit Flagship Realty, which is the willingness to make a difference in the lives of the people in our community. Kiona’s dedication and commitment to provide exceptional service is her number one goal; and she looks forward to serving you.